This week I have been learning about the new Microsoft Hololens. It’s a new technology that allows a user to interact with holograms. The interesting thing about it is that it’s self-contained and maps the actual environment that you’re in. This allows virtual objects to be placed realistically within the environment, rather than ‘floating in space’. 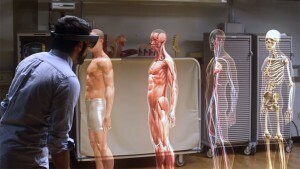 The virtual objects can also be quite detailed and the hololens can used for teaching human anatomy. In the lab, I will be able to have access to this technology, but I’ve got the feeling that using a phone/ app setup is working better for this project. 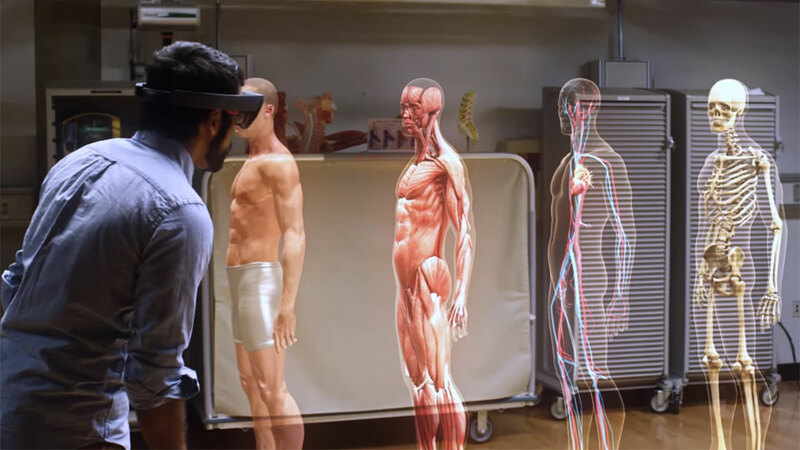 The microsoft hololens can be used for anatomy teaching purposes.